In case you did not receive the informational flier distributed on Friday, I wanted you to be aware of the upcoming project to improve Burke Avenue. The county will replace existing curbs, gutters, sidewalks (to meet current ADA requirements), add additional sidewalks where they do not exist, and repave East Burke Avenue from Hillen Road to York Road. The work will also include bump-outs and crosswalks and upgrades to streetlights. I am attaching some drawings of the improvements.Â Keep in mind that these are conceptual and may change. Some inconvenience during construction can be expected; your patience and cooperation are greatly appreciated. This is a capital project and is being done at no cost to adjoining property owners. The work should start this summer and be completed by the fall. 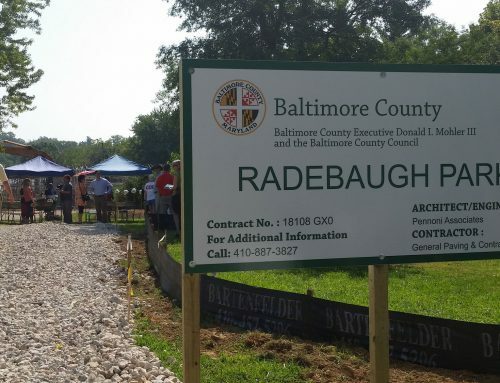 For more information, please contact Rahee Famili at (410) 887-3739 or by email at rjfamili@baltimorecountymd.gov. I am pleased that this project is moving forward.Â Our office has pushed for these changes since 2011, when we worked with the Department of Public Works to improve nearby Hillen Road.Â Upgrades to Burke Avenue were also identified by our task force that looked at safety near the Burke/York Road intersection.Â I certainly appreciate the County Executiveâ€™s support for this important project.